Canada's men's handball team will look to reach the podium for the first time at the Pan Am Games in Toronto with an Olympic berth on the line. They have never finished better than fourth place (Indianapolis in 1987 and Havana in 1991) and came in fifth at the last games in Guadalajara in 2011, but anything other than gold will mean an absence at Rio in 2016. 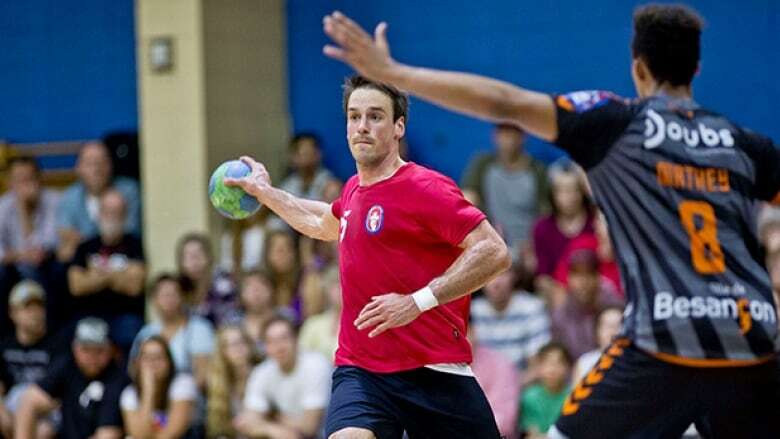 Handball Canada selected 15 men to represent the host nation in the crucial qualifier. "This team has been giving it their all on the competition circuit and in training," head coach Jean-François Grimala said. "I am proud of every single one of them and look forward to seeing them compete on home soil." The men's handball competition begins July 17. Maxime Godin, La Prairie, Que. Olivier Jung, Ancienne Lorette, Que. Philippe Thibeault, La Prairie, Que.